You have decided it’s time to move on and to sell your Carmel, IN home. Unfortunately, potential buyers might not see the value in your home as you do. After all, this house has been your home over the last however many years and those memories add up to additional value in your eyes. 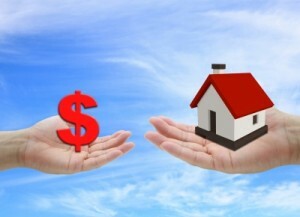 When it’s time to sell your home you have to price it right, using tangible factors. Here are rules to remember when pricing your Carmel, IN home. Price is King. The asking price determines how long your home will sit on the market. Pricing it too high may reduce the number of interested buyers which then causes the home to sit on the market too long. This longer market time can cause the perception that there is something wrong with your home and that you may be desperate for an offer. On the opposite end, pricing your home too low may create some unwanted questions about the homes true value. If multiple offers do not drive up the price you may end up with a much lower sale than you anticipated. Compare Sales. The simplest way to figure out the right price for your home is to compare similar homes that have sold in your neighborhood. A Carmel, IN real estate agent can help gather comparable sales and can provide you with a comparable market analysis. Any Improvements? When analyzing your property against others in your area you should consider whether major improvements you’ve made warrant a higher asking price. Be mindful that not all home improvements recoup their cost, but, they can help to market the home and shorten the listing time. Supply and Demand. If the market is a buyer’s market you may need to ask a little bit less for your home to make it stand out to potential buyers. In a seller’s market, with little home supply, you may be able to ask a tad more and maximize your profit.